I don’t know what it is or where I get it from, but, I get these ideas for recipes in my head. Whether we are trying out a new restaurant and trying to figure out how to make it my version and recreate the recipe at home or just come up with random stuff as I’m in the kitchen. But, more times than not these crazy recipes actually turn out to be some of the best recipes I’ve made. 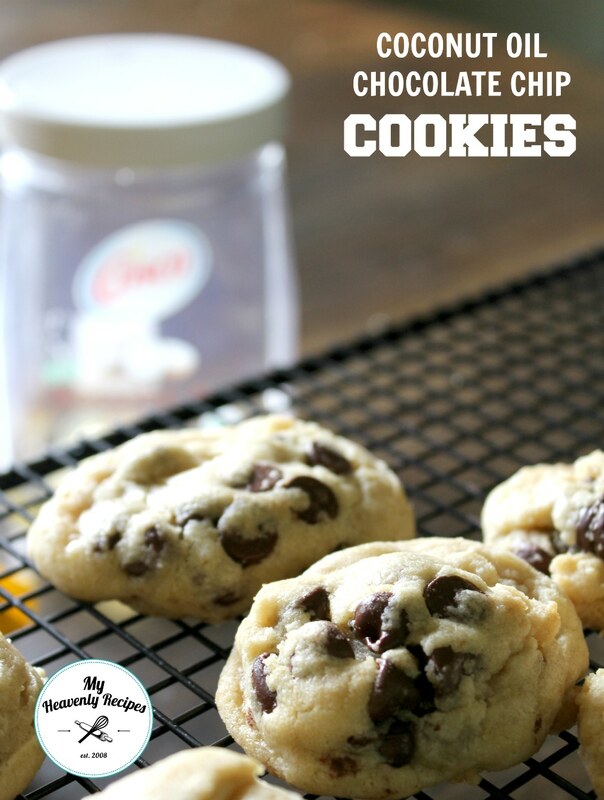 Like these Coconut Oil Chocolate Chip Cookies! Taking baby steps to overhaul a recipe and make it completely healthy is what I’ve been doing for the past few years. I am now in that stage where I am trying to create the healthiest of recipes, but, being able to indulge in things like these Coconut Oil Chocolate Chip Cookies. I believe that if you rid yourself of recipes like this then when you do eat them, you over eat them. Do you know what I mean? Then you end up regretting it after you’ve stuffed your face and not to mention feel like complete and utter CRAP! 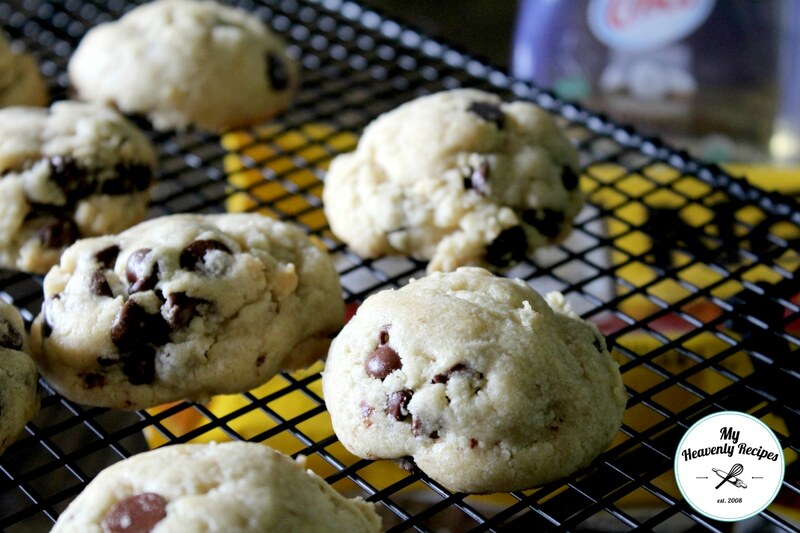 The results of these Coconut Oil Chocolate Chip Cookies were actual complete and utter shock. I didn’t think that the cookie would rise and would turn out to be flat, but, they sure did surprise me! They actually turned out to be a soft batch style cookie without all the butter! In fact, they were so good that I didn’t tell ANYONE that I had made a different cookie recipe. After everyone took a bite (knowing there were no coconut allergies) then I announced they were made with Coconut oil. Needless to say, everyone was pleasantly surprised and also shocked at the fact that the cookies had ZERO butter! Now the trick I tell everyone who texts, emails or calls me asking for my cookie recipes is this — make sure your cookie is taller than it is wider. If not the cookie ends up becoming crisp around the edges and will fall flat. Nobody wants a flat cookie! In a large bowl mix sugar, brown sugar and coconut oil. Blend for 4-5 minutes until light and fluffy. 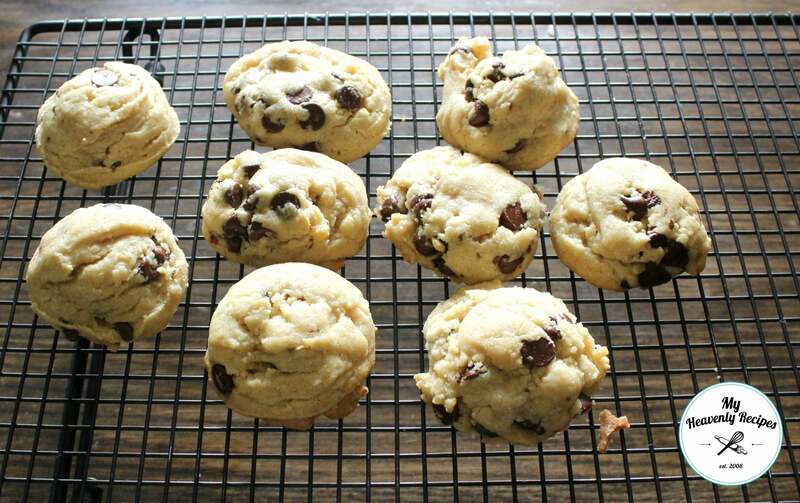 Using a cookie scoop place cookie dough on a lined baking sheet and bake for 8-10 minutes. 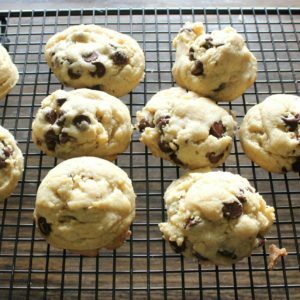 A super fun soft batch style Coconut Oil Chocolate Chip Cookie Recipe. They don't taste like coconuts, are a little healthier with no butter and a recipe you need to try ASAP. Can this recipe be made with a Gluten-Free flour blend instead of the regular flour?